So have my final eSeminar for the year this Friday. 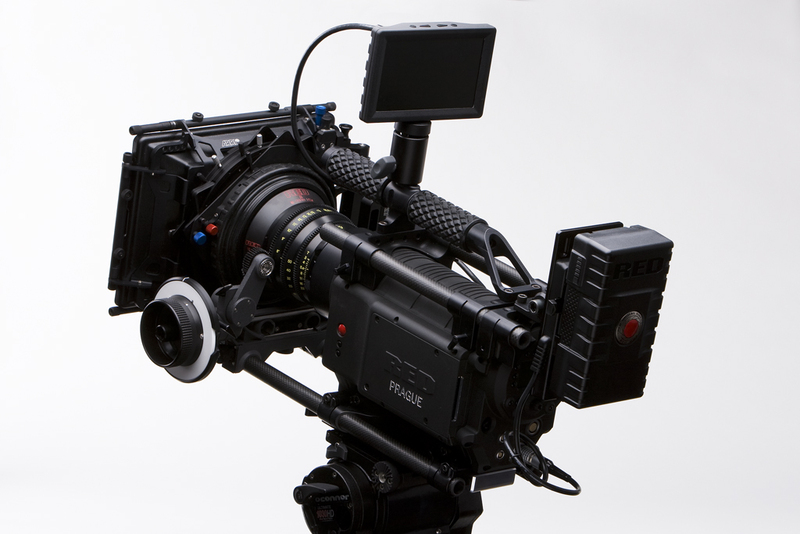 We will be covering working with footage from the RED Digital Cinema System. Learn how you can hire a RED camera for less than most pro video cameras a day, and shoot up to 4K feature film quality and then edit that footage natively in Premiere Pro CS4, grade in After Effects and then produce a BluRay DVD of the project, all native, all realtime. Its pretty cool stuff actually. As always the sessions are free, just need to register here, we will be live as 12:00 Melburne time this Friday. So my wife was out for the day, going to see Chicago of all things ( I hate the theater almost as much as I hate………nope, theater pretty much tops it) So I figured I’d pop into the city and have a play with the new video features of the D300s. Luckily the awesomely unpredictable weather of Melbourne blessed me with sun (after weeks of on and off rain), however it did get a little windy. 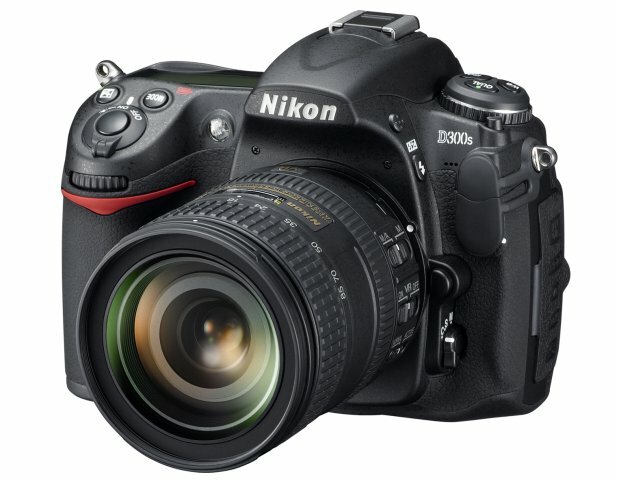 So once again, as I am primarily a video guy I am going to give my thoughts on the video elements of the D300s (I am ashamed to say that after having the camera for a week, I am yet to actually shoot an actual still other than for testing, more on that in a second. Framing: Couple of things here, this is the first time I have used this camera in bright sunlight, mental note, go home and buy some form of shade device. I could barely see the Liveview display for framing let alone focus. I pretty much ended up switching off Liveview, framing my shot, checking focus, turning Liveview back on and shooting, which is no way to capture footage, especially if its random. Now when my rails arrive, oh did I not mention, if you want to shoot anything other than home videos, you will need to get a set of rails, follow focus kit and matte box. After many attempts I found that pulling focus, especially with my 80 – 200 f2.8 at full zoom was near on impossible, I constantly found myself overshooting the mark, I didn’t want to mark the lens with a chinagraph marker as I used to do with my old Super 16mm gear. So once the follow focus arrives I can see how much easier it gets. That being said, I was able to get a few good examples eventually after many attempts. And boy did that lens look great, it is now my new favorite lens. The other thing that I think is almost a must have is an optical viewfinder, like this from Zacuto now, awesome as it looks, I don’t think I will be buying one just yet, as they are $395 US, which going by the exchange rate for Australian, equates to a few dollars shy of my left kidney. I am going to see how shooting with my external ref monitor goes and see if that will cut it, if not, out will come the Visa and my wife wont talk to me again for a week or two. The other thing about exposure that I noticed was the lack of built in ND filters like you have with most video cameras. I am so used to being able to dial in a stop or two of ND when needed, I actually found my hand reaching for the phantom ND switch that wasn’t there, this is once again another reason to have a matte box, instead of having to buy ND filters for each and every lens, a matte box allows you to slide in filters into the filter tray of the matte box, and it also allows you to stack them and t is much faster to add and remove them than screwing them directly onto the lens. The other option is a variable ND filter like this one but at over $300 US, I might just wait a little. As such, when it got really bright today, and I was trying to get some shots with my aperture wide open, the shutter speed went way up, which results in very staccato looking footage, for some things this is great, but with ND filters you can control how you ant the video to look a lot more. Audio: I didn’t shoot any audio for this other than the amazing sound of wind, constantly blowing dust into my camera bag (you can actually turn the internal mic completely off but interestingly, as the exposure, aperture, lens information etc is not stored in the metadata of the video files, I have taken to doing a little voice ident on each shot, listing all the settings, that way when I am back in the suite and I see a shot that works particularly well, I know what setting went into making the shot). To this end the info button the the D300s is great, it gives you an instant full screen listing of every setting in one area, a little easier to read than the top display. That being said I have had time to have a bit of a play after remembering to bring my audio kit home from work. Plugging a lapel mic directly into the camera and recording some audio, and voila, 44 khz 16 bit audio. Now there is no way of actually monitoring the audio yet, which is insane. But I was able to get a clean signal that wasn’t too hot after adjusting the input level on the camera. You don’t have actual level control but settings for AGC, high, mid and low. I think I will probably end up getting a Beachtek as even if Nikon eventually add headphone support, you still need XLR in and fine granular control of audio levels. A couple of other little things that while not massive features I found interesting. First off is the Virtual Horizon. Now when I used it for the first time when I first go the camera, I though, wow, what a cute and effectively useless feature, when will I ever use that. Of course that didn’t stop me assigning it to one of the function buttons on the front of the body. As I was shooting, I found that I was often having trouble seeing the bubble on my tripod due to the sun (great idea Miller, make it a yellow bubble on a yellow background, yeah that’ll never cause problems) so I found myself bringing up the horizon for a spot check more than once. I also found the new Quick Menu for the D300s very useful. I was able to assign all the windows for video to that quick menu, so I could easily switch picture quality from HD to SD, adjust audio levels etc. now if only I could somehow assign the quick menu to a function button. Finally, and this is not a D300s specific thing, in the past when shooting video, I am sure everyone knows that as soon as you setup a tripod and camera, its like your a leper, people avoid walking near you for fear of being filmed, either that or idiots jump in front of the camera and dance around like their final brain cell went away to college and left them in charge of their body. With a still camera, unless you are looking through the viewfinder people think your not read to shoot a still and so go about their normal days, so i had the exact opposite problem, as I was framing up my shot people were all in a hurry to avoid me and get out of the way, but as soon as I stood up and turned on liveview to record, it was if I wasn’t there and normality resumed, very handy indeed. That and the fact that every time I pulled out the tripod and whacked on the 80 – 200 mm within seconds I noticed a bunch of tourists would all stand near me with their cameras out shooting whatever my lens was pointed at, I assume they thought that if it was worth me pointing my lens at it then they better get a photo of it, even when I hadn’t actually st up the shot and what I was going to shoot was in the exact opposite direction. Oh well, at least I can rest easy with the knowledge that there are some Japanese tourists going home with some very ‘arty’ shots of random objects because of me. Finally, I should point out something that I have seen little note of, it seems that the Camera RAW files the D300s creates are so amazingly awesome, that few packages support them (sarcasm is how I deal with stress by the way) iPhoto, Lightroom and even Photoshop CS4 wont read the files at all, you can download a beta plugin for Photoshop that will read the files, but honestly, isn’t RAW supposed to be a standard, what are these cameras doing differently each and every model that requires constant updates to each and every package I want to shoot stills for. Oh and I should add, most of the add ons that I mention, I have found from reading Philip Blooms blog this guys blog is pretty much required reading for anybody using a DSLR as a video acquisition device. Oh and his video work is phenomenal. So for interests sake I cut what I shot into a little video, keep in mind there was no actual plan for the shoot so the shots are entirely random, and as I was mainly doing this for testing purposes, there are shots in there that while technically imperfect gave me good information about things to be aware of, most notably the auto exposure, I tried to avoid the exposure pulsing as much as possible, but when panning and tilting, it was near on impossible to also hold the AE lock button. Finally I decided to leave it ungraded so you can see the raw footage as it came out of the camera, normally I would probably either use Magic Bullet Looks, or Colour Finesse to add that final little source to really make the footage pop. For those who are interested, my system is running Windows 7, Adobe Master Collection CS4 and a BlackMagic MultiBridge Pro. The footage from the D300s imports into a BlackMagic timeline (I used the Varicam 720p, 24fps preset) and plays back in real-time with no render bar) I reference off a 1080p Samsung via HDMI and the audio goes via optical to a Yamaha Amp. Oh and if you watch the video and like the music, its from The Killers, Day & Age, buy the album its great! Follow the process from brief to rough cut to finished graded product: a TVC for Honda Motorcycles, all created in Adobe Premiere. Many of you may not know this but my wife (a significantly more talented person than I) has written a book, and it comes out later this year (September 1st to be exact). Set in LA, the main characters visit many of the spots where famous celebrities have died. As my area of expertise, motion video, generally has bugger all to do with the written word you might wonder where this post is going. Well, as her background is in PR, my wife was adamant that when this book was launched she would have every type of media covered, including websites, business cards, press, stills from locations that are covered in the book, you name it. So with that in mind earlier this year we set off for a holiday to LA, with the idea that we would also do a little bit of prep work for the book as well. As this was primarily a holiday I wasn’t going to be lugging round three or four Pelican cases of gear, so i set myself the rule that unless all my gear, still and video could fit in a single backpack, it wasn’t going. My video gear thus consisted of a Canon HV-30 set to shoot HDV 25p, a suction mount for mounting the camera to the car for in car pieces to camera and a few mics. Several weeks later and we had shot enough footage for the trailers that were to go up on the website leading up to the books release. Now comes the grading stuff. I have been a user of the grading software Magic Bullet for years now, but I must admit I hadn’t upgraded for a few versions, it did what I needed and so I left it as is, that is until CS4, when my tried and trusty version of Magic Bullet would not install, bugger, oh well I suppose an upgrade is in order, well after contacting the fine folks at Red Giant Software as I couldn’t figure out what package most closely matched my old version, and I couldn’t see any upgrade options that matched what I already owned, I was offered a VERY nice upgrade price to Magic Bullet Looks. And so after cutting the first of the little 3 minute teaser trailers for Kathy’s book, I went to do what I usually did with Magic Bullet, drop a look on, add a Vignette and be done with it, because, and I have to admit this in public, I never really messed with the Magic Bullet settings before, I just found the interface to confusing and it was hard to see what subtle changes would do to your image without exiting the application and then clicking in your timeline, back and forth it was just too complicated. And so, the first trailer went up and looked great. Nothing too complicated so far. So time rolls on and now I have to cut the second trailer which I do, unfortunately I notice a problem with the in-car footage where I had mounted the camera to a suction mount on the window pointing at the driver, the exposure had been set based on when I had mounted the camera, however as anyone who knows the winding roads in the Hollywood hills around Mullholland Drive will tell you, it aint that easy, we ended up driving in areas that were completely in shadow and then rounding a corner into direct sunlight, the result being a particular piece to camera that I wanted to use was about 3 stops over-exposed, not enough to make in un-usable, as these videos have a doco style about them, but still not ideal. However, once I had locked the edit and I went about applying the Magic Bullet Look I had chosen for these pieces, I discovered that that 3 stops of over exposure resulted in a VERY ugly picture once the Looks had been applied. What to do, I first off tried turning off the looks, and trying to grade down the shot to match the shot before that was well exposed and then re-applying the Looks, that didn’t go so well, it seems that Magic Bullet Looks when applied to footage that has been altered by another filter will generally result in a different look than you expect. I was about to throw my hands into the air and give up when i remembered that Magic Bullet has a new interface for selecting looks (which I had used) but that interface also was a new way of dealing with looks, adjusting their setting and creating your own, they call it Toolchains. So I loaded up the interface with the problem shot selected, and as usual, instead of reading user manuals and understanding the different features I just started clicking around, the interface is a wonder of simplicity hiding great power (I wish someone would describe me that way, one day), when you select a look you can see the different elements in a chain that go to making up that look, clicking on any of those elements allows you to alter the individual settings. Want an extra element, just drag and drop into the chain, which is what I did, a simple drag and drop of the Exposure element, and then clicking three stops down and wammo, the footage looked perfect and interestingly with no real quality loss, a first for compressed footage like this for me.